And then it's straight from the Kolkata Book Fair to tutoring for a week at Fantastic Queensland's fantastic Clarion South. No, I know I'm not listed there yet, but believe me, when they say Janeen Webb, in this case they mean Margo Lanagan. I hope no one's disappointed, but if they are—hey, it'll be the fifth week; I'll be very understanding if people just put down their heads and sleep. I have been known to do that myself in a Clarion workshop (sorry, Gordon!). So, talk about starting off the year with a bang. Two bangs, in fact. And then ROR in Tasmania in March. Hmm, must get that novel written. I've got a near-to-final schedule for this trip now, so I guess it's real enough to blog. I'll be taking part in a tour to Chennai and Kolkata at the end of January, and to give us time to acclimatise Steven and I are flying into Chennai a week early, on 18 January. We plan to spend a couple of days in Chennai, then go across to Kochi and Kerala, then return to Chennai to do two days of Literary Tour, then we'll fly to Kolkata for the Kolkata Book Fair 30 January–2 February. This is all a bit too exciting. Neither of us has been to India before, although I have stolen its monkeys and elephants for stories. 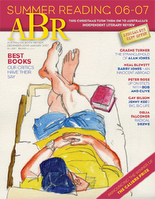 Other writers on the tour this year (although not all at the same time) are: Thomas Keneally, Judith Beveridge, john Zubryzcki, Alison Lester, Bruce Bennett, Bem le Hunte, Luke Beesley, Kirsty Murray, Graham Reilly, Ron Pretty, Kevin Brophy, Lizz Murphy and Brook Emery. Terry Dowling has devoted a whole column in today's Weekend Australian to a review of Red Spikes. What's more, it's online, which saves me the bother of typing out the highlights for you. What's missing from the online version is the heading in the newspaper: A test for your grip on reality. There are no instant classics in this line-up but there are memorable offerings and a fine cumulative effect. What the stories lack in strongly developed plots they make up for with close observation, stylish signature flourishes and downright charm. Most important, the reader comes away from Red Spikes knowing that Lanagan, like every really good writer, is set on shaking the storytelling tree. Yes, and I'm hoping that the next thing to fall from the tree will be about bunya-nut size. ...made it through to the YALSA Top Ten of 2006, Justine and I are happily sitting in the Best Books, muttering to each other about everyone's inappropriate clothing. 'When I had finished the first story ... I had an odd reluctance to proceed any further. because 'Singing My Sister Down' was so good and so powerful that it made me fear that if I continued further within the volume I would be sure not to encounter anything half so good again. 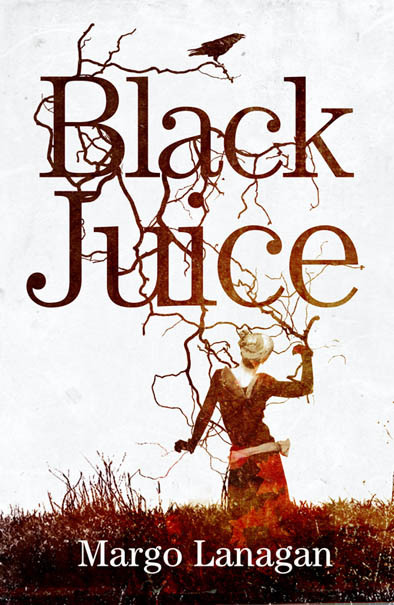 Now, a small, discreet English bird told me that copies of Black Juice are winging their way back to the publisher at a frightening rate, so if you want to shake someone's fictional world apart this Christmas, you'd better get a wriggle on, hadn't you? ...will be 9 October 2007. There's some very tantalising talk going on about cover artists at the moment. I should totally ignore it and plunge into the novel. A nice review from Juliet Sheen of Journeys Bookstore and Cafe, which is just over in Annandale, a hop, skip and jump away. She makes Red Spikes sound like really hard work—but at least you get a friand and a coffee as you toil from story to story. Enjoy. That means you, citizens of Annandale—and anyone who wanders over from Leichhardt or (is lucky enough to still be riding their bicycle and) wheels in from further afield. ...December Locus has plenty of Margo in it. First, she falls off her bike in Milestones—this I will show all my cycling buddies ('So when you fall off your bike, does it get noted in an International Journal? No? You are, like, so nobody!'). A few other things happen, too, to other people—you know, babies and wedding anniversaries and stuff—but Margo's Collarbone gets top billing. Then Rich Horton reviews Jonathan Strahan and Jeremy Byrne's Eidolon I anthology and says, 'In particular I liked Margo Lanagan's quite nasty "A Fine Magic"...the magic described is lovely and scary.' To be fair, he does talk about other stories, Jeff VanderMeer's and Alastair Ong's, as well. But he talks about me first, all right? Then Nick Gevers writes a nice fat review of Red Spikes and says it is 'no less brilliant' than the previous two collections. Its stories are unassumingly written yet dazzlingly original, full of moral force and unsettling psychological insight...To read Lanagan is to inhabit other minds—sometimes Other ones—to a greater extent than literature customarily makes possible: the effect is hypnotic. In Red Spikes there are ten stories, ten trances masterfully induced...never simplistic, persistently wise...provocatively ambiguous moments...a formidably accomplished book. Citizens of Sydney, you have no excuse for that stack of books at Galaxy. Go, buy your copy, and be intimidated now. Red Spikes (Allen & Unwin), a collection of strikingly original tales by Margo Lanagan, should cement her reputation as a master of short stories. There's nothing like a nicely cemented reputation.